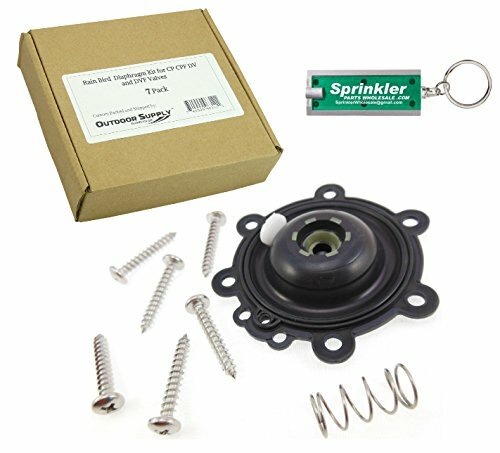 This kit comes with a diaphragm assembly with Filter 170817; Diaphragm springs 206944, 6 stainless steal screws 210295. This kit is for 3/4" and 1" CP CPF DAS DV and DVF Rain Bird Valves. Comes with a Free SprinklerPartsWholesale Flashlight Keychain (one with every order). View More In Irrigation Equipment.